Unlike Scott, who’s in the process of transitioning to a Mac (s aapl) from Windows (s msft), I made that move quite a while ago, but I still struggle with some aspects of the OS occasionally. One thing that irks me is that there’s no uninstall tool. And since most applications also hide files (preferences, temporary files, etc.) on your system, cleanly uninstalling an app is not as simple as just dragging it to the trash. Unlike Windows, which has a fairly robust (though not perfect) built-in uninstaller in the Add/Remove Programs utility, Macs come with no such tool. Such an absence was just a minor annoyance for me until recently, when I upgraded to Snow Leopard and it broke one of the apps I’d installed so that every time I booted up my computer I’d be issued with a bunch of warnings about it. Totally removing the offending app was proving tricky, so I looked to see if there was a program available to help — and discovered TrashMe. It’s very much like what I’d expect OS X’s own uninstall utility to be like, if it had one. Open up TrashMe and you’re presented with a Finder-like window with a large trashcan in the center. 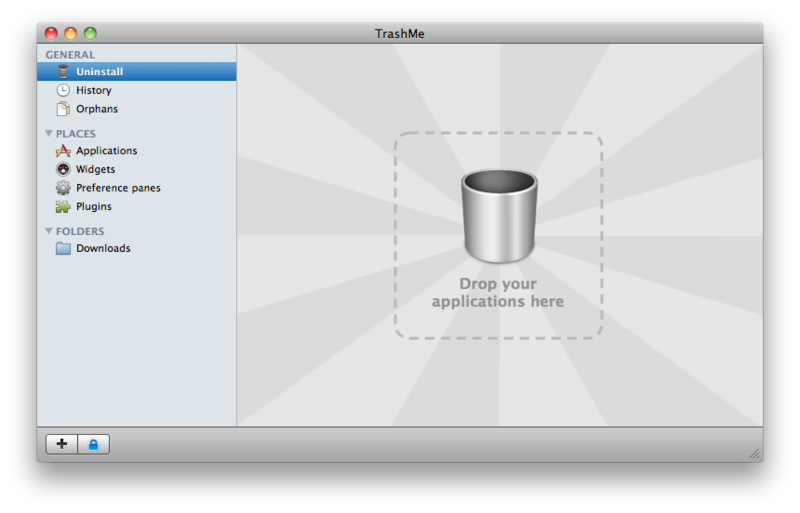 To uninstall an app, drag its icon to TrashMe’s trashcan. TrashMe then presents you with a list of all of the files associated with that application, enabling you to trash them all in one go (by default, TrashMe sends them to the trash, but you can elect to delete them instead). That’s pretty much all there is to it. If you’ve got into the bad habit of simply dragging applications into the trash, then you might like to enable TrashMe’s “Smart Mode” (disabled by default), which can detect when you do it and automatically suggest related files to delete. There’s also a feature that enables you to detect orphans (files which were used by previously removed applications), although you need to be careful using this feature as you could potentially delete useful files. I highly recommend TrashMe as it makes cleanly removing applications and all their associated cruft easy. TrashMe is freeware and can be downloaded from the JibApps website. What do you think of TrashMe? Let us know in the comments! Winx HD video converter for MAC – An easy-to-use video converter, both SD and HD videos are available. Hi, I’m Jib, author of TrashMe. If you have any question or a bug to report, don’t hesitate to write me back on my website (or use the Bug tracker). I always enjoy user’s feedback, in order to improve TrashMe. (and thanks to Simon for this quick review). I can’t wait to try it myself for it seems to be very useful and user-friendly for people to manage their apps. As usual thank you for your tips and personal insights that help us, readers! I always find your recommendations to be effective. @Sebastian. You could try Appcleaner or href=”http://www.appzapper.com/”>Appzapper (not freeware though). Thanks, Tom! I have downloaded Appcleaner and it works! Any idea about an alternative for me to use? 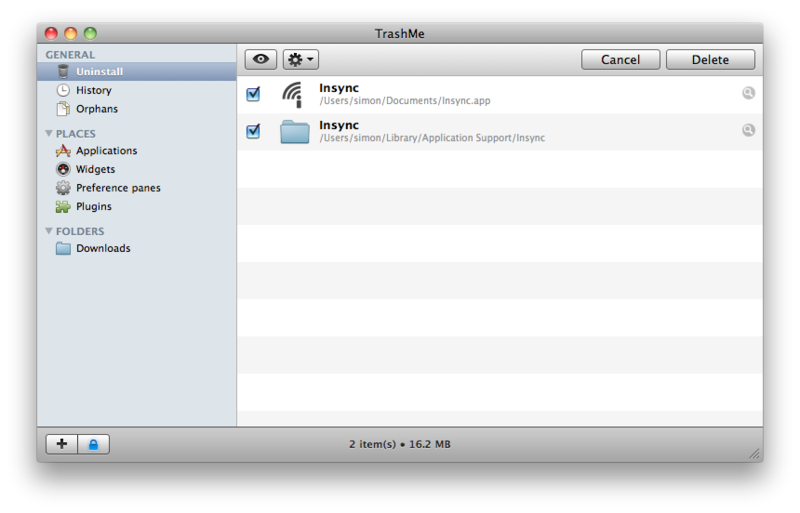 One more app for you to consider Mac Uninstall (also not freeware). I have been using Hazel by Noodlesoft for Mac which is a System Preference that has what it calls “App Sweep” for doing this same thing. Have you used this? 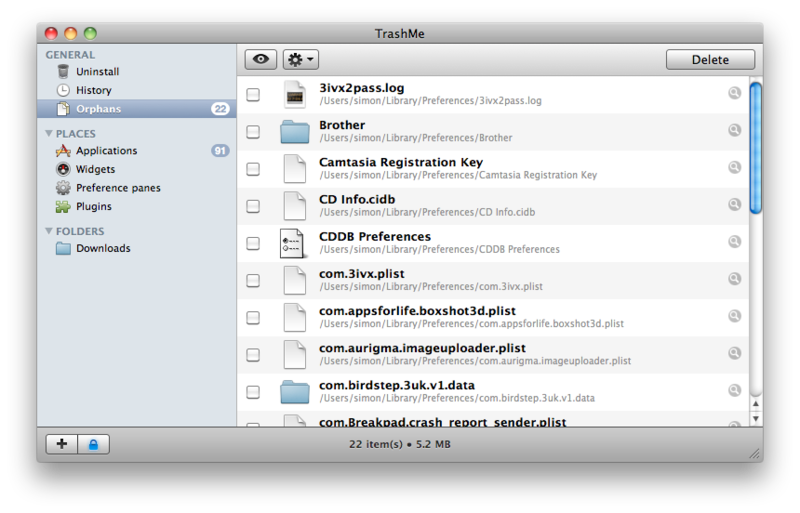 I am going to try out TrashMe, but Hazel is pretty cool because it also will sweep on multiple users. I haven’t tried it, Andrew, as TrashMe does just what I want.